Danger Zone is a vehicular destruction game from seasoned genre veterans Three Fields Entertainment. 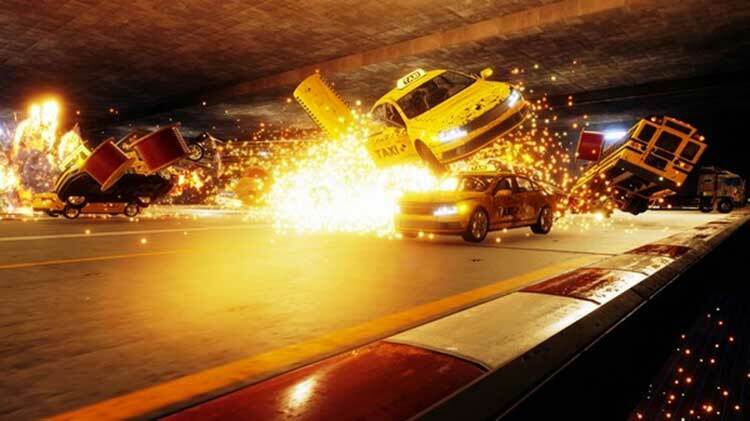 Step into the shoes of a dangerous driver and cause the biggest car crashes ever seen in a video game. 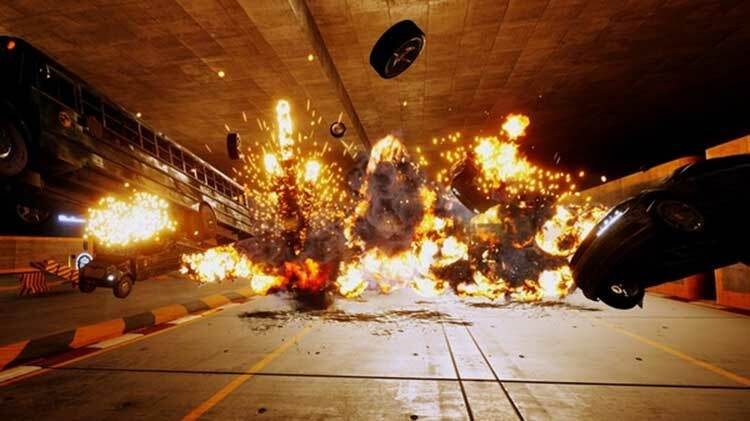 Danger Zone combines real physical crashes with explosive gameplay. 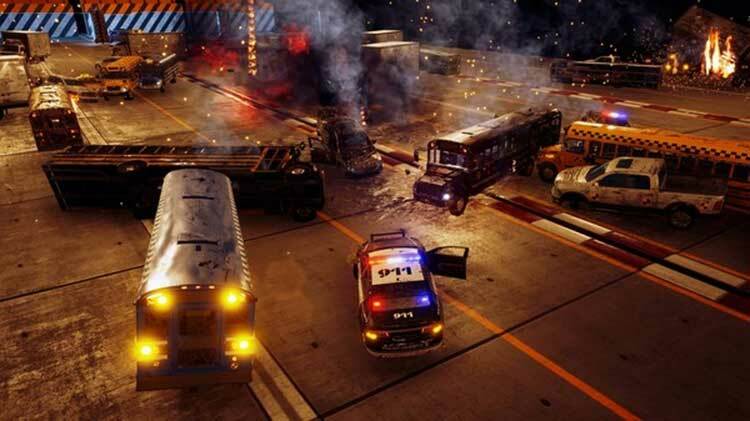 I can’t really argue that Danger Zone is a fairly solid reenactment of that popular Burnout mode. It is almost exactly the same as crash junctions, down to the way that damage is calculated and how Smashbreakers are triggered. It works fine, it doesn’t really have any bugs, and if you can overlook the horrible controls, then landing a successful crash is still something of a thrill. The old magic of Crash Mode rises to the surface often enough for Danger Zone to be a fun diversion, but this excitement is ironically muted when the game decides to turn up the intensity in its later levels. Danger Zone is the beating heart of a concept in search of a full-fledged game to pump life into. 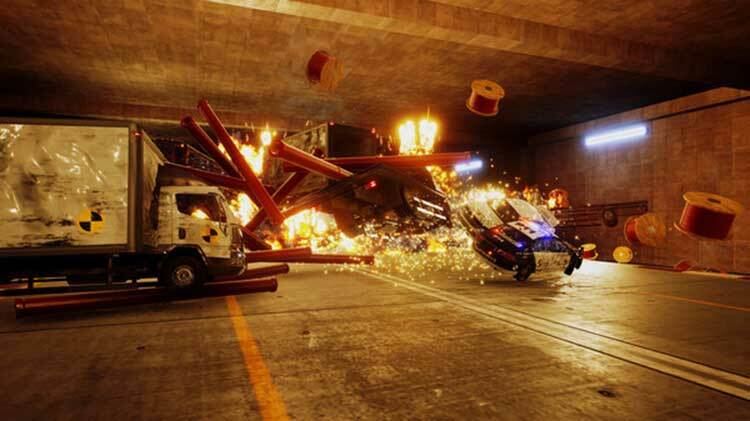 While it won't satisfy your lust for chaos the way the Burnout games once did, Danger Zone provides enough thrills to make you want that hypothetical successor more than ever. That Danger Zone‘s core design works is unsurprising, given that it’s been borrowed wholesale from a different series, but Three Fields has done little to build out the concept into anything worthy of a full game. You’ll enjoy what’s here well enough, but don’t expect it to last very long—or to dazzle much beyond the explosions and sparks. Danger Zone is a simple and barebones game that manages to recapture some of the car-smashing action of the classic Burnout series, but not enough of the joy. Though Burnout’s Crash mode was always the star of the show in those games, it turns out that Road Rage, Burning Lap, etc. defined Burnout just as much as Crash did, as well as its personality. Danger Zone is about as barebones as arcade games get, and yet its explosive gameplay loop is so addictive that it’s somehow passed our crash test relatively unscathed. The presentation may be offensively simplistic and the runtime a little on the short side, but once you’ve launched your Smashbreaker a few times, you’ll feel like all is well in the world. 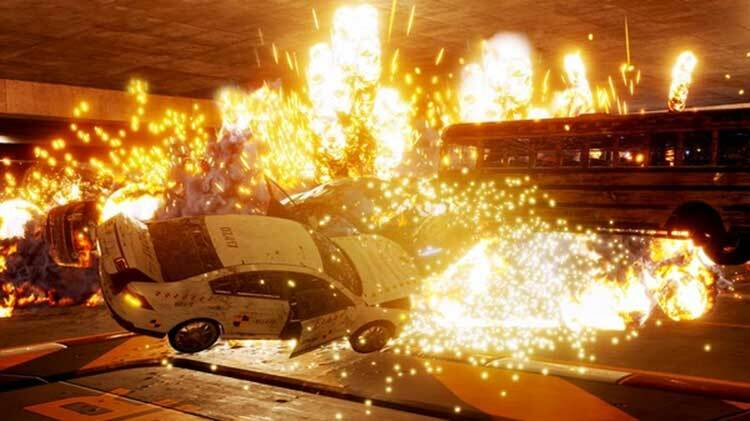 In short, the fact that Danger Zone is entirely set in a testing facility, lacks in variety, and has only a few scenarios, means that it ultimately feels like a training mode for Burnout 3's Crash Mode, a comparison we wouldn't make if it wasn't for the fact that the development history and gameplay invites it so clearly. It suffers from the Crash Mode comparison, and while the mechanics all work and the essence is there, it just doesn't live up to expectations. It takes a little while to reach its best, but Danger Zone takes the classic Crash Mode from the Burnout series, distils it and then finds ways to push it to new, even more ridiculous heights. Crash Mode is back, and despite a few flaws, it ends up being as morbidly compelling as ever. Danger Zone might be a lean package, but the car-smashing joy that package contains is more than worth investing in. Danger Zone no es el juego más completo o profundo, y sus valores de producción son claramente bajos, pero el concepto sigue siendo muy divertido, y sus mecánicas lo hacen muy rejugable. 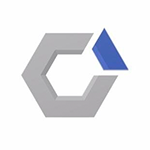 Es un juego pensado para quienes disfrutan superándose con cada partida y compitiendo por llegar a lo más alto de las clasificaciones online. Si cumples con ese perfil y echas de menos la saga de Criterion, es una muy buena opción. Danger Zone es un grato recuerdo de lo que fue el Modo Crash de Burnout. Un juego que se queda muy corto técnicamente, que ofrece poco contenido y que jugablemente es muy limitado pero que sirve de pequeño aperitivo ante la llegada de un próximo Burnout.